Galleywinter Farm is a pastoral and serene retreat center in the foothills of the Blue Ridge Mountains. Galleywinter is filled will rolling hills, woods, and streams. The space includes an intimate yoga studio, barn, farmhouse, nature trails, and gardens. Galleywinter Farm has all been created with love and care to provide a place of serenity and beauty. It is also a working farm and home to approximately 7 beautiful horses. Experiences with horses such as greeting and observing their outside spaces is included with your stay. A friendly house cat and dog also live at the farm. 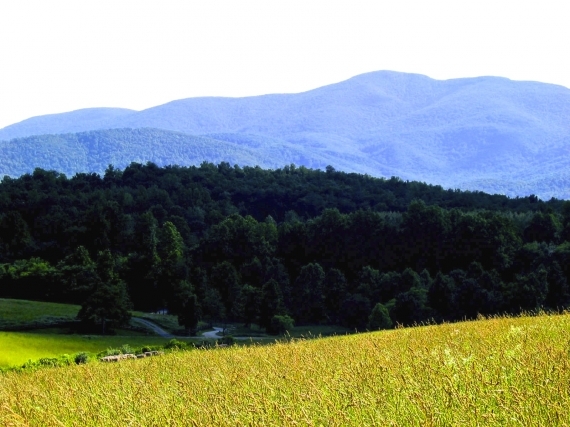 Galleywinter Farm is located 4 miles from the Skyline Drive and the Blue Ridge Parkway, 20 miles from Charlottesville, 7 miles from Waynesboro and Crozet, and 15 miles from Staunton. It is approximately a 2.5 hour drive from the DC metropolitan area. Galleywinter House: Upstairs rooms have wonderful views and writing nooks. Ground floor rooms are quiet, dark and private, great for sleeping! Ground floor rooms share a lovely bathroom with jetted tub. The Galleywinter Barn offers great aesthetics, privacy, and closeness to nature for inspired dreams and musings. The barn is a completely enclosed space; however it is not air conditioned or heated. There is no bathroom inside the barn itself. Those staying in the barn can use the bathrooms inside the Galleywinter House. Camping is also available at a reduced cost for those who enjoy the great outdoors! REGISTER NOW - rooms are available on a first-come first-served basis, so register early to ensure you get the room you want! Prefer to pay in installments? Contact Andrea at andrea@inspirationyogaandwellness.com to set up a payment plan! Upstairs Private Room w/shared bath: - SOLD OUT! Downstairs Private Room w/shared bath: - SOLD OUT! Barn Private Room Double Bed w/shared bath in house (no facilities in barn): - SOLD OUT! Private Room w/shared bath (1 bed in common room/area): $400 - LAST MINUTE SPECIAL!! Porch w/ cot (shared area): $350 - LAST MINUTE SPECIAL!! Camping (bring your own tent): $350 - LAST MINUTE SPECIAL!! REGISTRATION PAGE: REGISTER NOW by clicking on the link to fill out the online registration form. You will receive a custom link for payment once the form is received. 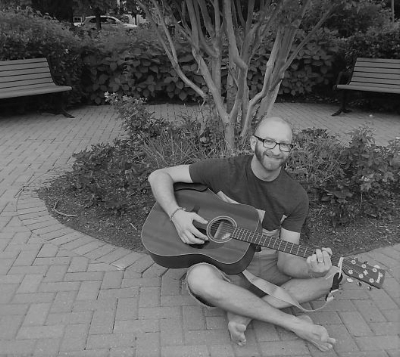 Andrea Creel is a yoga instructor and singer who loves sharing her passions with others! Andrea has been teaching yoga since 2005 and is known for her intuitive and creatively sequenced vinyasa flow that emphasizes mindfulness, breath, and alignment and often incorporates aspects of yoga philosophy, chanting, and meditation. She has studied kirtan (call-and-response chanting) with nationally known kirtan artists David Newman (Durga Das) and Wynne Paris, and studied mantra meditation with Namadeva Thomas Ashley Farrand. 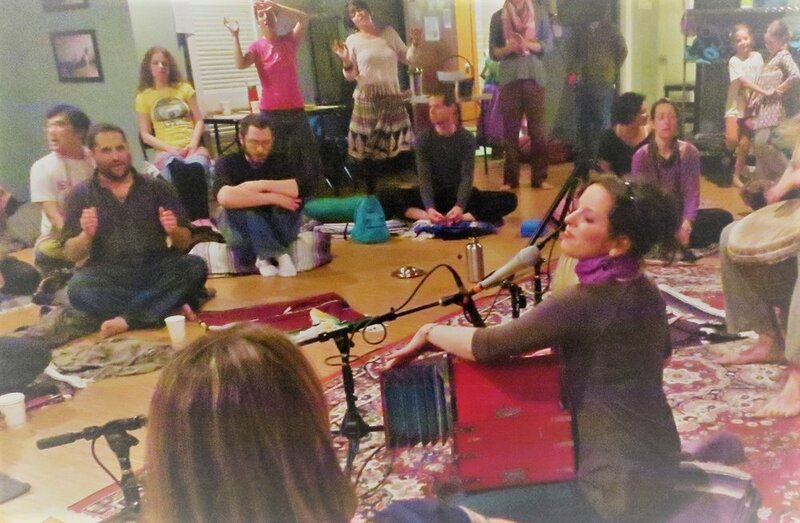 From 2010-2011, Andrea led kirtans throughout the Washington, D.C. area as part of The Shaktis, D.C.'s only all- female kirtan group. She is on the teacher training faculty at extendYoga in Rockville, MD where she has taught mantra and chanting modules to the teacher trainees since 2015. Andrea is also the owner of Shining Kids Yoga which is one of the leading providers of kids yoga classes in Maryland. Horsemanship or Horse Therapy Sessions Sessions in which you interact directly with the horses for meditation, mentoring and self discovery, therapeutic purposes of all sorts, or horsemanship instruction can be scheduled during the retreat. The fee for the horse sessions which usually last about 90 minutes is $85. Contact gail@leadingforth.com to set up a session.